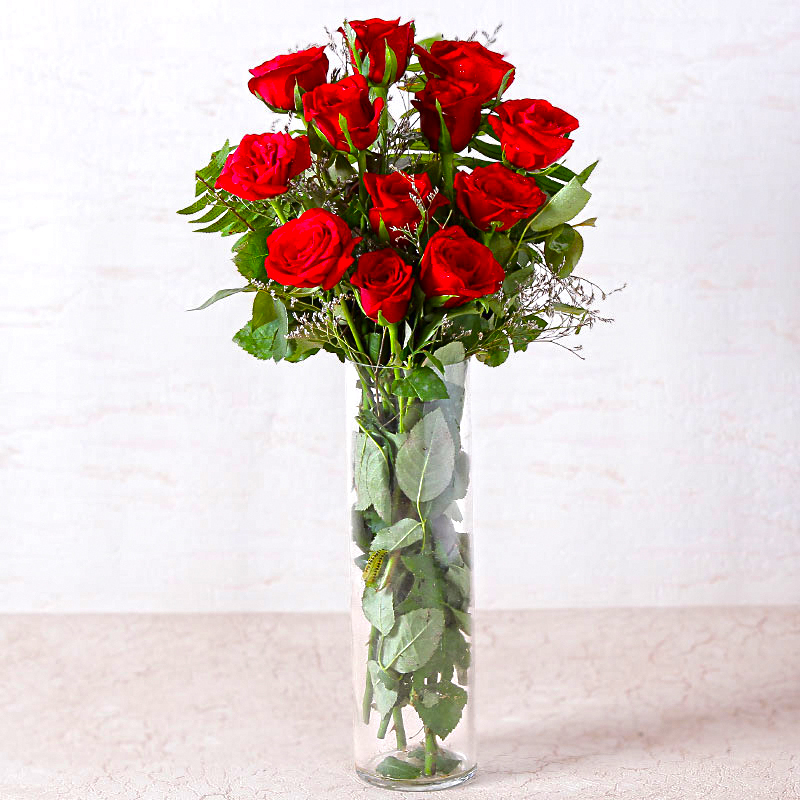 Product Consist : Glass Vase of 12 Stem of Red Roses with green fillers. Let distance not stop you from celebrating with your family on special occasions like Birthday, Anniversary, Independence Day, Thanksgiving Gift, Friendship Day and Wedding. 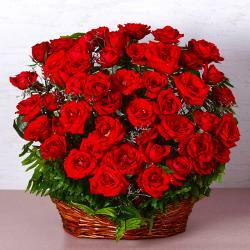 Send their way this bouquet of dozen red roses that look elegant, graceful, loving and convey your best wishes beautifully to the recipient. 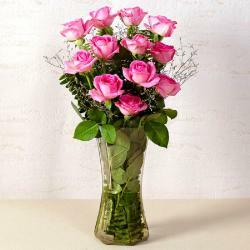 The Roses are packed in a glass vase, which makes them look pretty and easier to store. 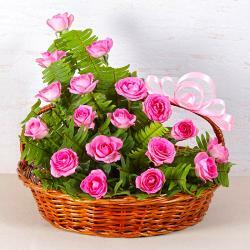 They are fresh, elegant and will definitely spread a smile across the face of your loved one. 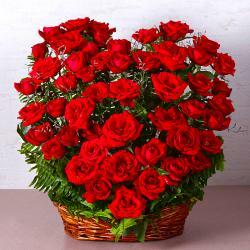 Product contains: Glass Vase of 12 Stem of Red Roses with green fillers.